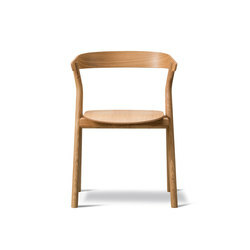 230M: Beech frame. 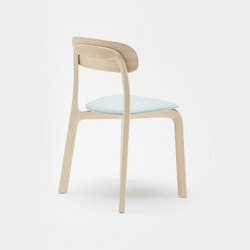 Laminated beech back and seat. 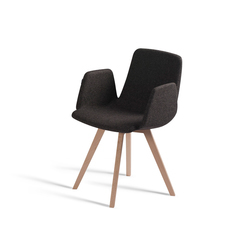 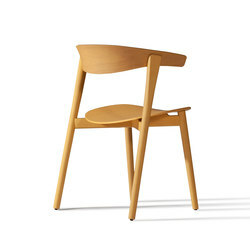 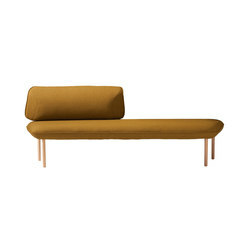 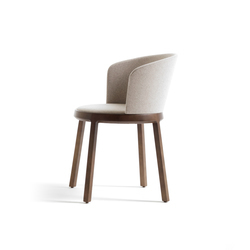 Nix is the new chair designed by Patrick Norguet for Capdell, which combines comfort, versatility and elegance. 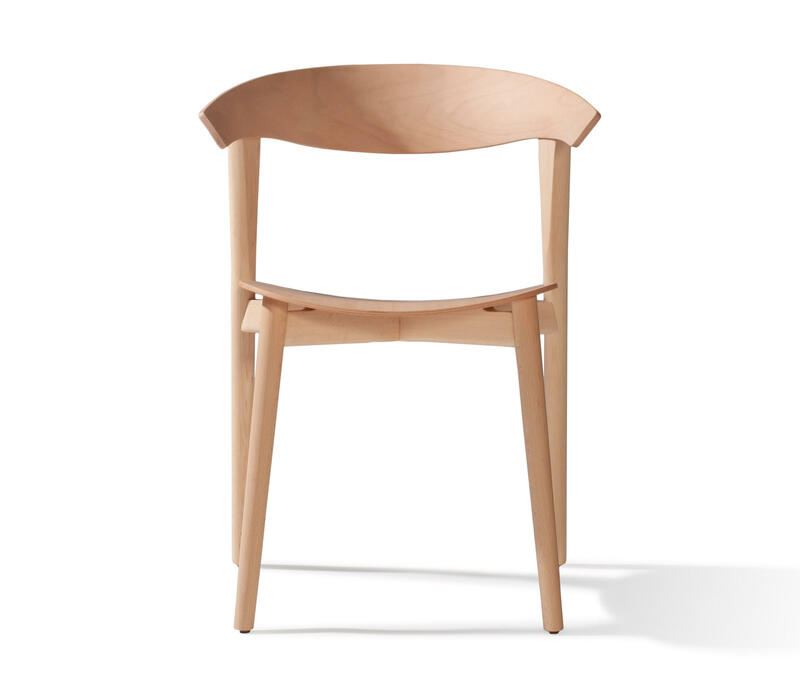 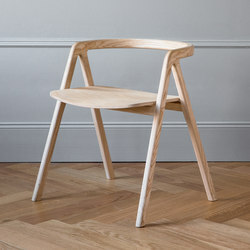 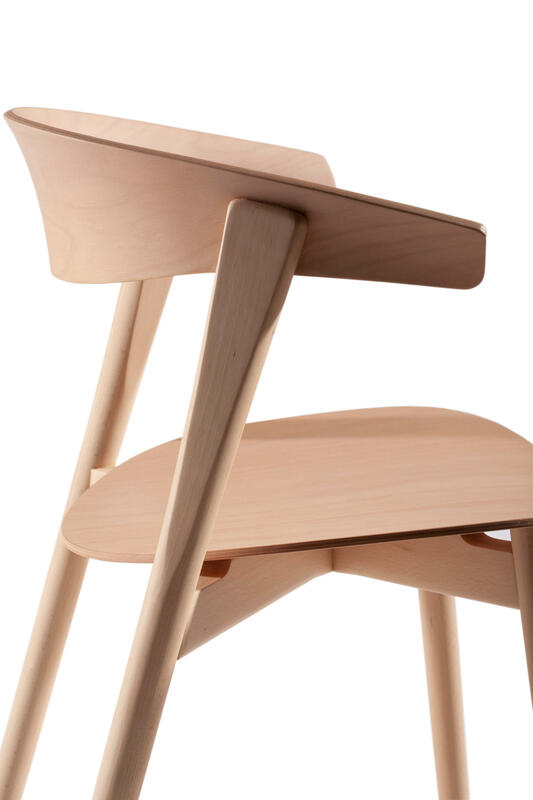 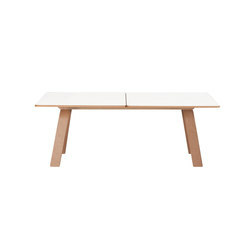 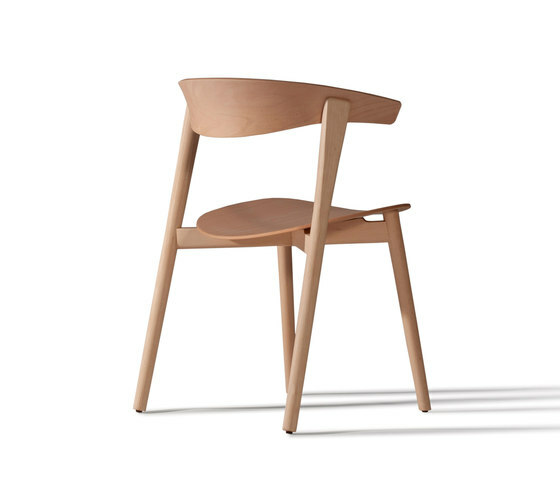 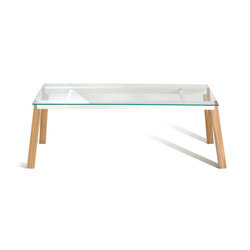 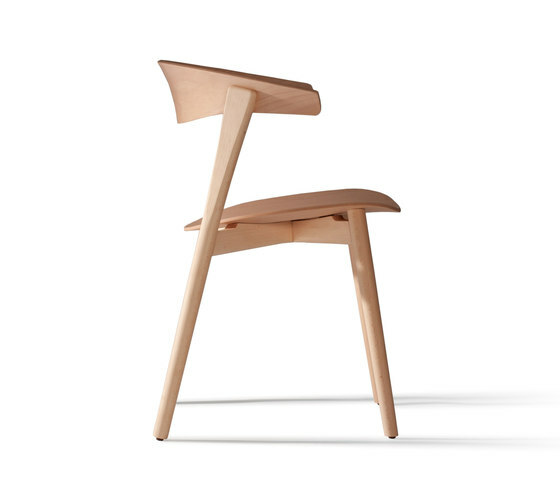 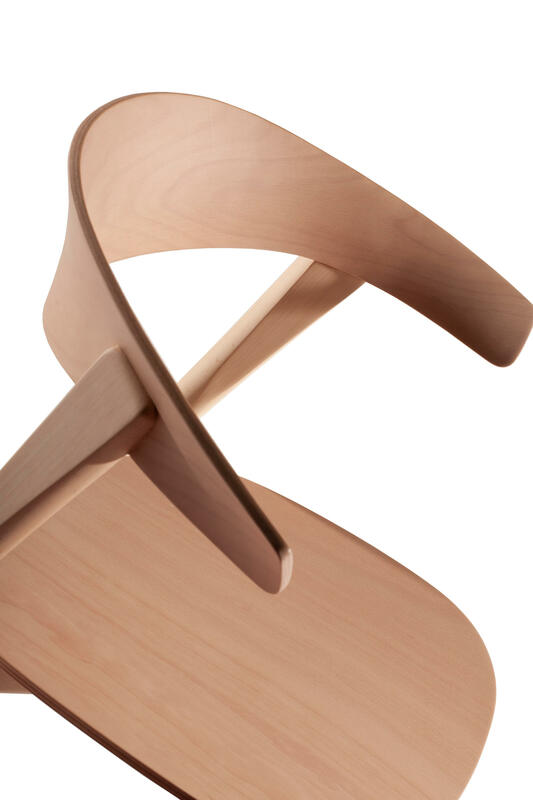 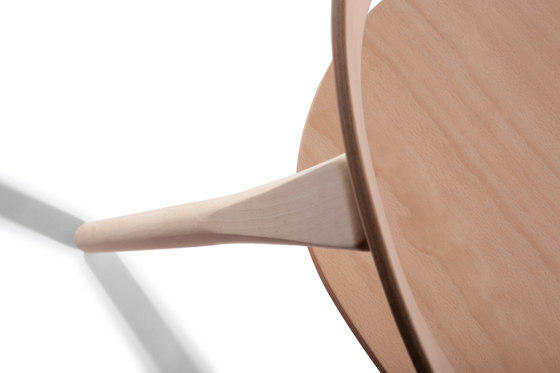 An iconic design that combines the work of solid wood and plywood. 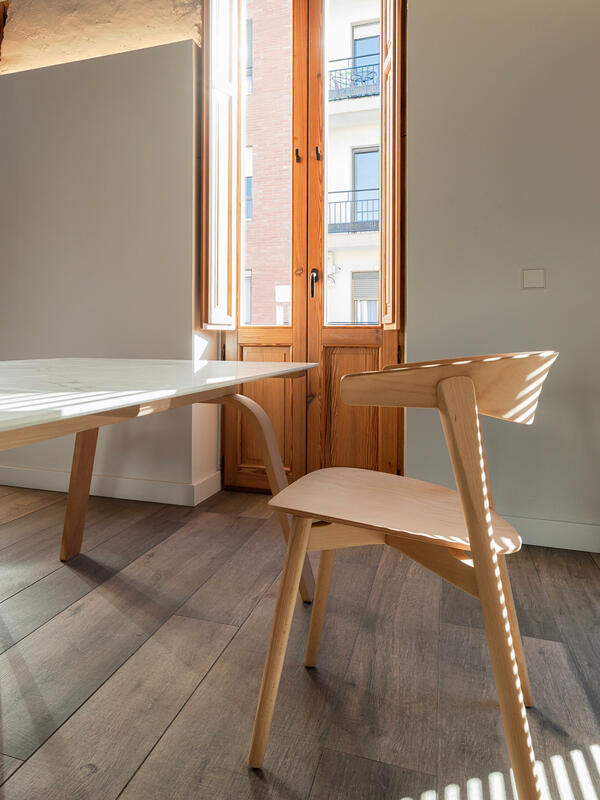 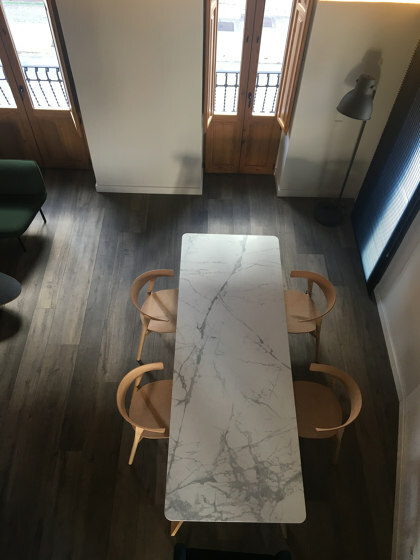 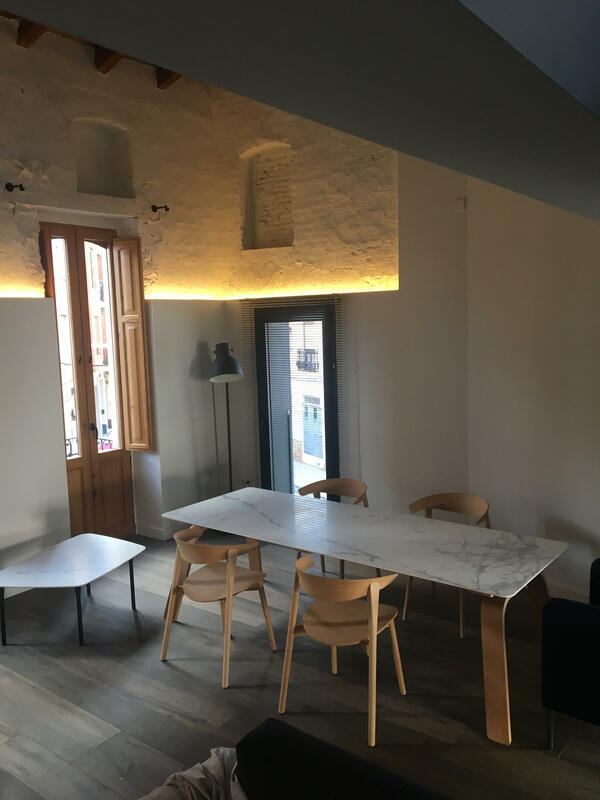 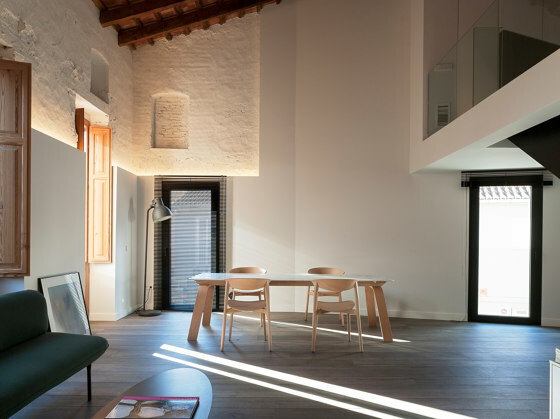 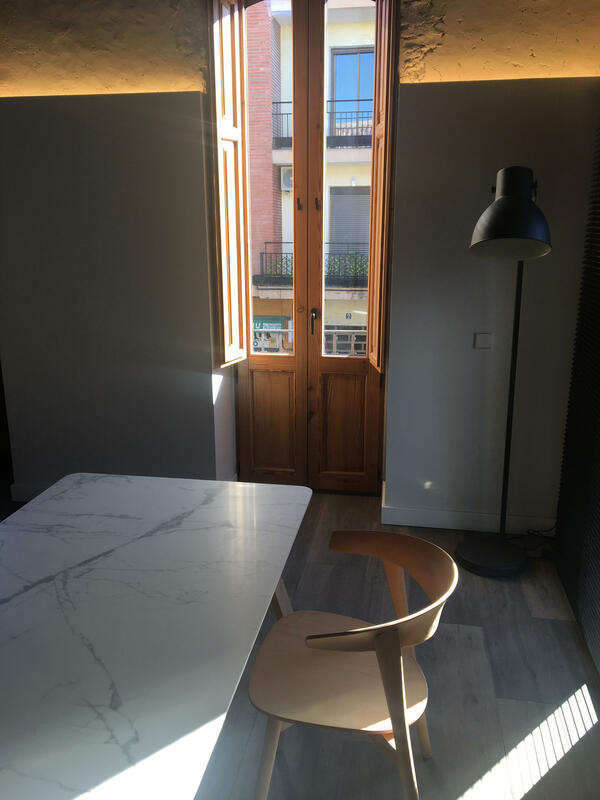 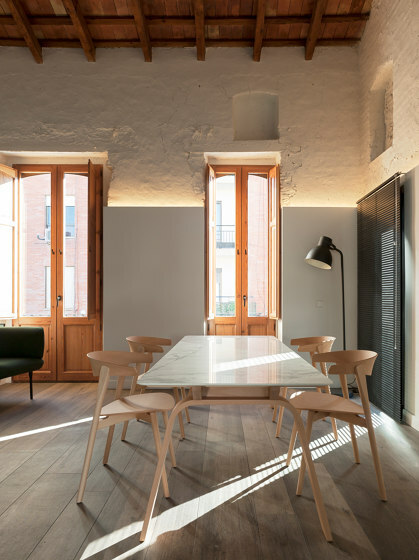 The result is a very comfortable chair that also lends itself both to multiple uses of the house and to collective spaces. 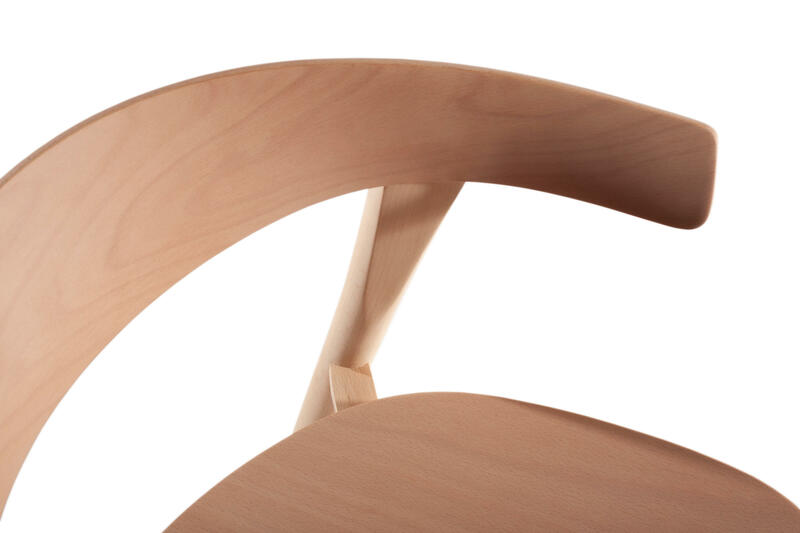 The principle of assembly, draws an elegant and unique architecture. 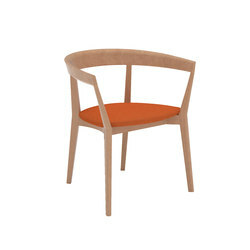 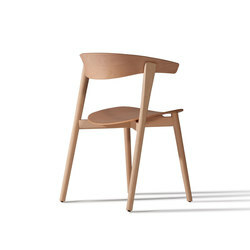 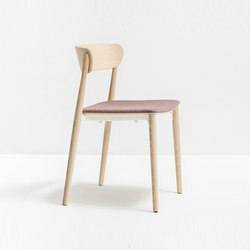 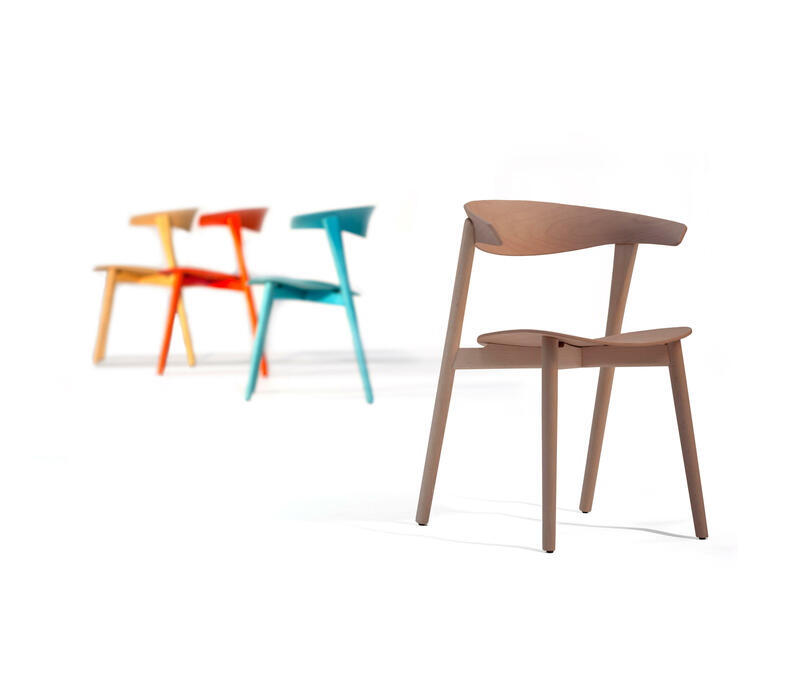 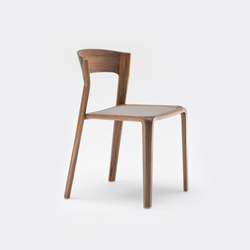 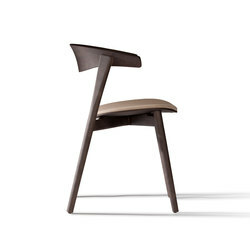 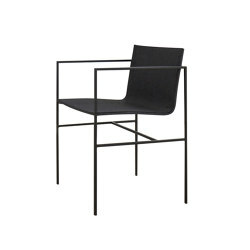 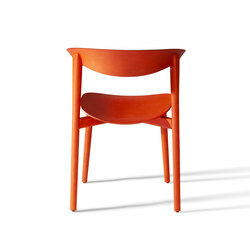 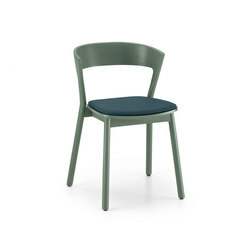 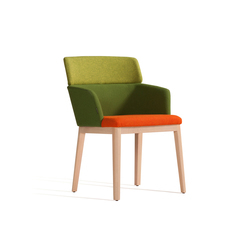 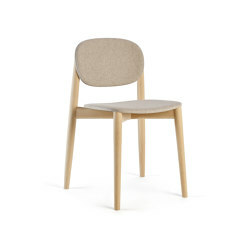 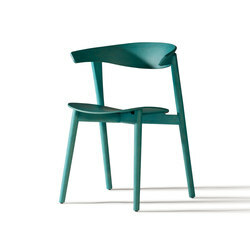 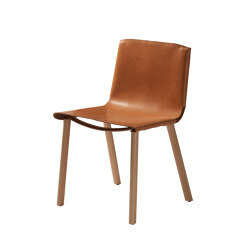 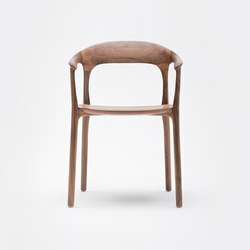 Nix is a contemporary chair with different finishes and colors.